First off, I want to apologize for not doing something that I wanted to do......which you never knew about............but I feel I should apologize. Today is St. Patrick's Day and I wanted to have posted some of my favorite "green" cocktails for you all to look through a couple days ago. Then baseball games, soccer games and a double birthday party I hosted last night all got in the way. Instead I decided that since it's such beautiful weather out today, I would pull out my blender and use one of our banana's and just create a nice blended cocktail. This cocktail is banana-ey, so if you're not a huge banana fan you might not want to try this one. I LOVE this one and since I was totally in the mood for banana's, I love this one even more today. I did end up adding pineapple juice to this cocktail because at first (even for me) it was a bit too banana-ey. 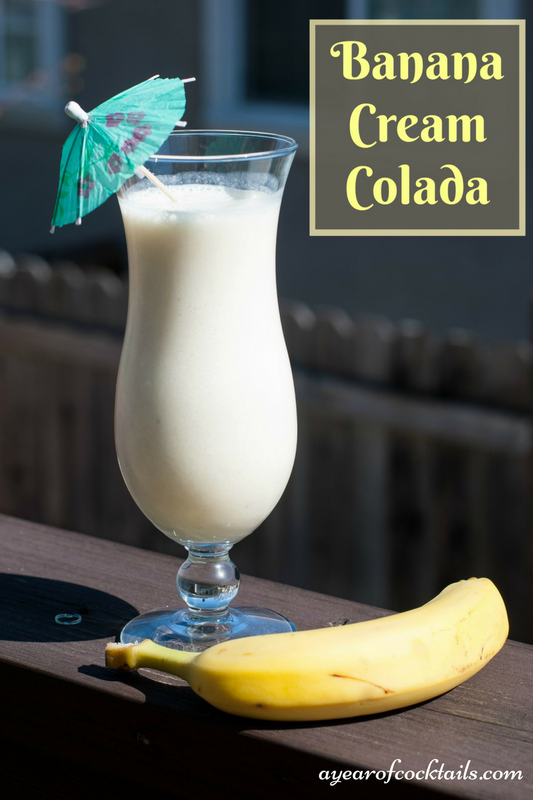 In this cocktail the banana, coconut and pineapple flavors all mix pretty darn well together (which they usually do) and the vanilla ice cream gives it a bit of a creamy flavor which is nice. In a blender, add all of the ingredients above. Blend until your ice is gone and everything is mixed in well. Happy St. Patrick's Day to you all. I hope you are wearing your green so that you don't get pinched!! "since it's such beautiful weather out today" LOL. It's been pouring rain for hours over here. Since I'm not quite so fond of the banana, I think I'll pass on this one. I thought about making some green drinks, but Jack Daniels Honey Whiskey was on a half-off sale today, so that's what I'm having tonight! YUM! I'll have to try this one!